Instead of taking the lead of permanent ink there is an alternative that’s been around for centuries- henna. . Henna art is commonly known as temporary tattoo i.e. a form of body art. 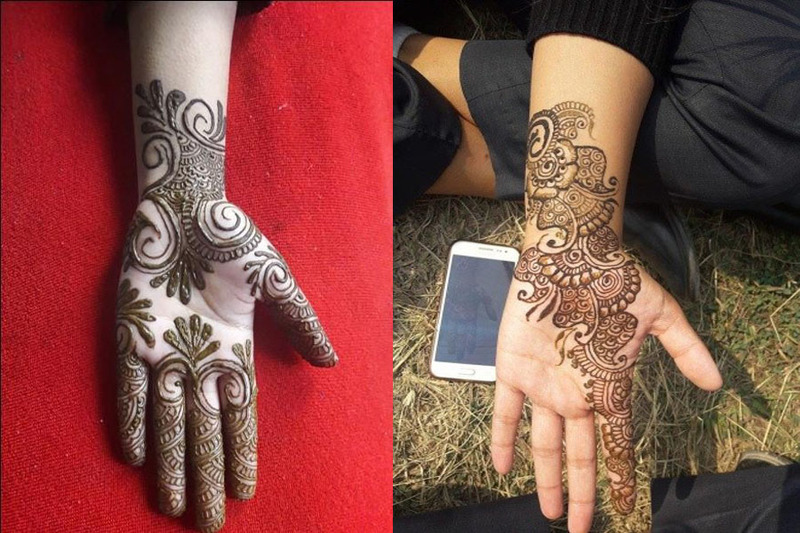 Henna is much liked by women in countries like Nepal, India, Pakistan, Bangladesh and Maldives. The Asian culture has now become part of fashion and it is available in variety of eye-catching design. An average stain of henna lasts about week. 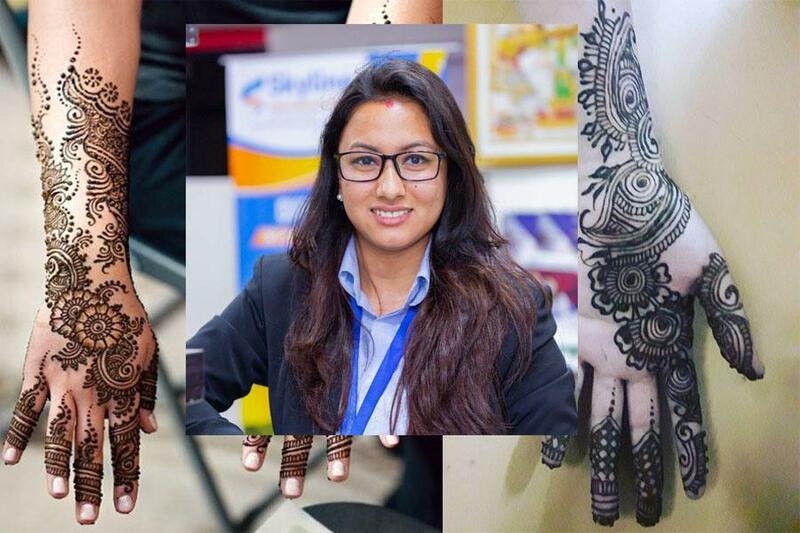 I am Kabita Rokka a professional henna artist located in Kalopul Kathmandu. I own my private henna business name Kabita Henna Studio and have experience with bridal works, events and private appointments also. I started to work professionally in year 2016 when I first created my facebook page and started to post the design which I have done in my friend's hand. I got so many inquiries for henna appointments so I thought to invest my time it. I especially got call for events in occasions like Shrawan, private mehendi function, charity programs and Teej. Among all I adore doing bridal henna. I am passionate about each detailing outlines and the final outcome. I used to draw geometrical patters on my friends hand sometimes on my own hand and the result use to provide me joy and happiness. 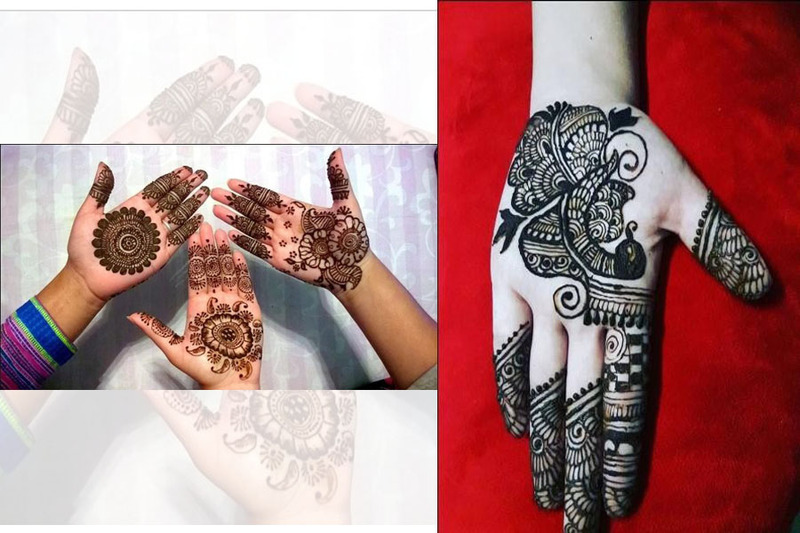 There are different types of henna design I have been encounter during my 3 years of professional journey. These designs are very popular during traditional celebrations like weddings, Teej, EID and Karva Chauth. They are also a favorite with brides. Indian designs feature beautiful art inspired by earth, nature and emotions. In Nepal there are only few artists who have knowledge about Indian designs. Fusion is a great way of bringing the better of two worlds together and the Indo Arabi designs for hands are pretty good examples of fusion brought to fruition. These fusion designs are a showcase of the best of Indian and Arabic designs. 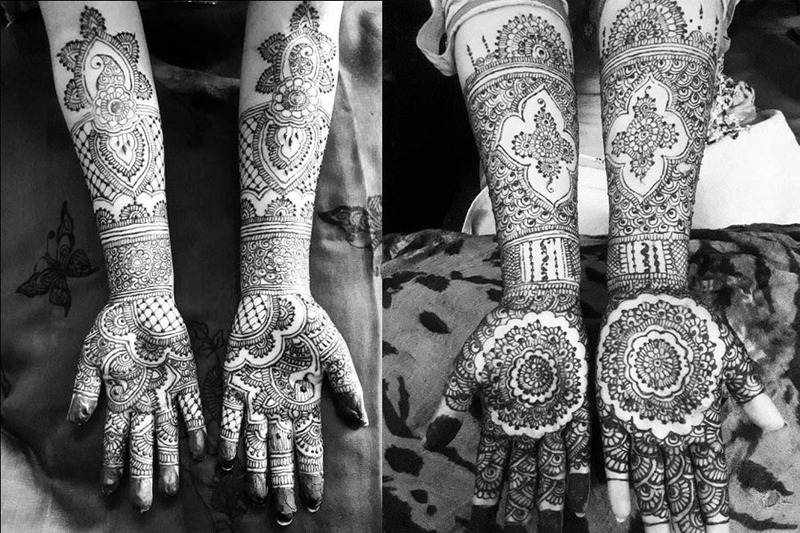 Indo Arabic designs are currently famous with in brides who want their hand to look fully decorated. 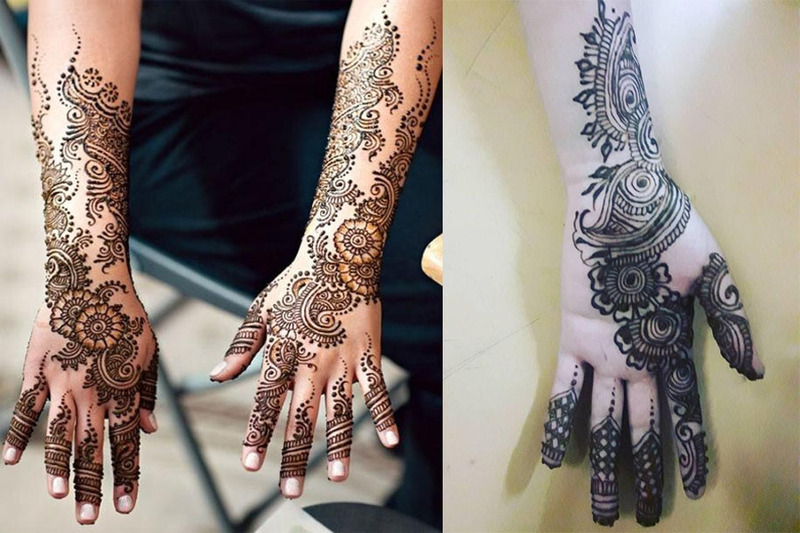 Coming from the same region there are many similarities between the Indian and Pakistani Henna design. However this particular design does not feature traditional Hindu elements like the Bride, groom and Kalash which are replaced by Domes, Flowers and Leaf like patterns Like Indian henna, Pakistani henna design features mandala patterns too, although not as frequently. This style is also greatly influenced by the Arabic designs. Henna is an exotic piece of admiration for the western world, a medium of creativity even. This fascination for the local henna has resulted in the birth of Henna tattoos in the west. The western designs are a lot different than their cousins; they feature geometric shapes, quirky patterns and often imitate hand jewellery designs. The Indo western design is a mix of the east and west. 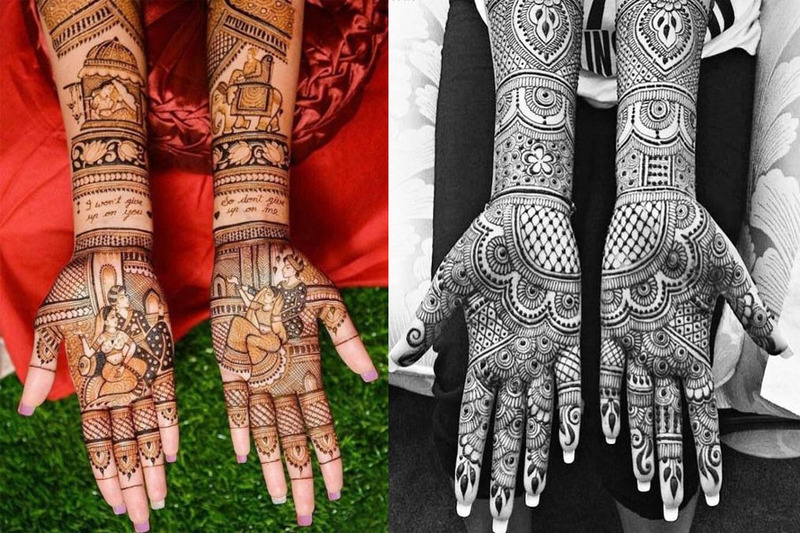 This style of henna like the western design is usually just worn as a style statement and is far from what traditional henna designs are like. This henna design is quite spaced out and features modern patterns along with traditional designs. 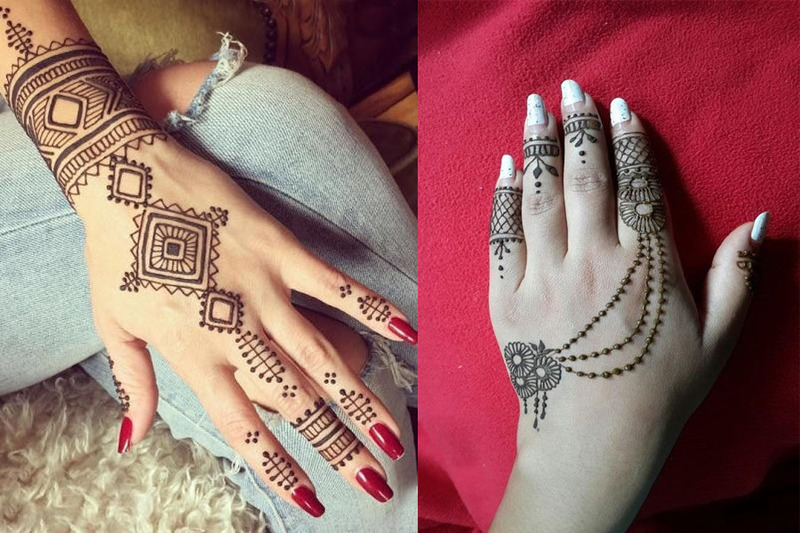 The craze for henna is mostly in young women in the form of body art to decorate their hand and feet. But now a day boys and men are taking it as a temporary tattoo. 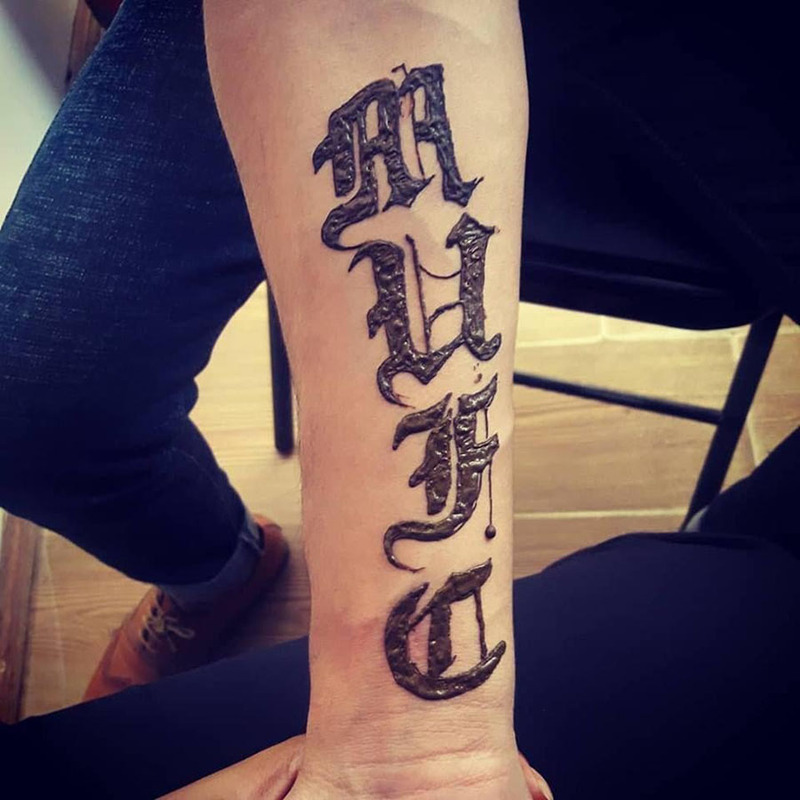 I have done this tattoo to one of fan of Manchester United.